Two extensions may be added to our South Hooksett Refectory Table for additional seating around a period perfect replica of Early American dining tables. 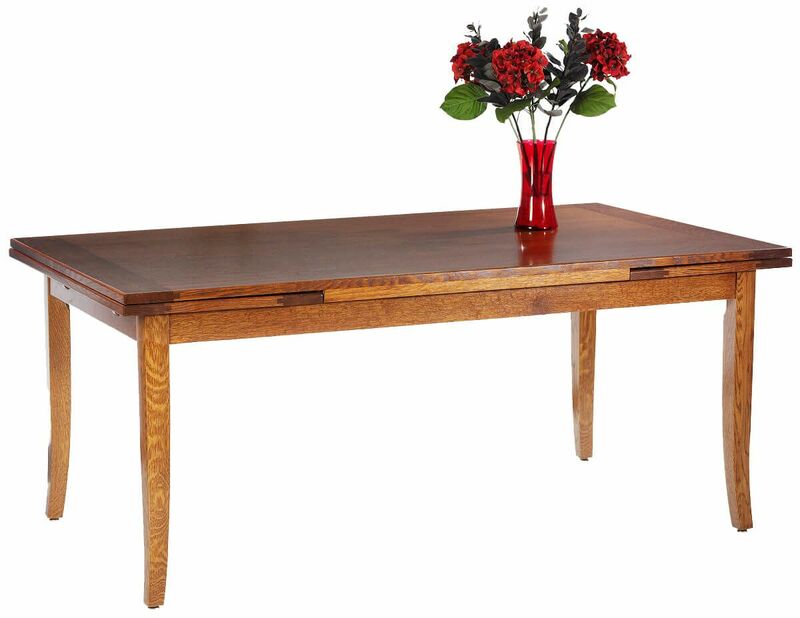 The Amish South Hooksett Refectory Table is crafted by hand with the finest domestic hardwoods available. Featuring two 20" extension leaves that store inside the table ends, this expandable kitchen table is built to order and built to last. 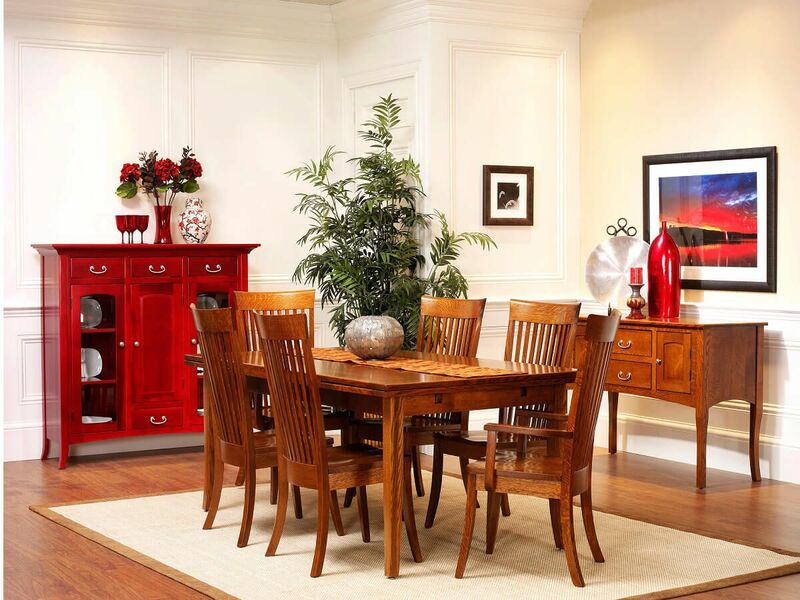 Choose your hardwood, stain, and options from our menus and your one of a kind dining room table will arrive at your doorstep shortly. 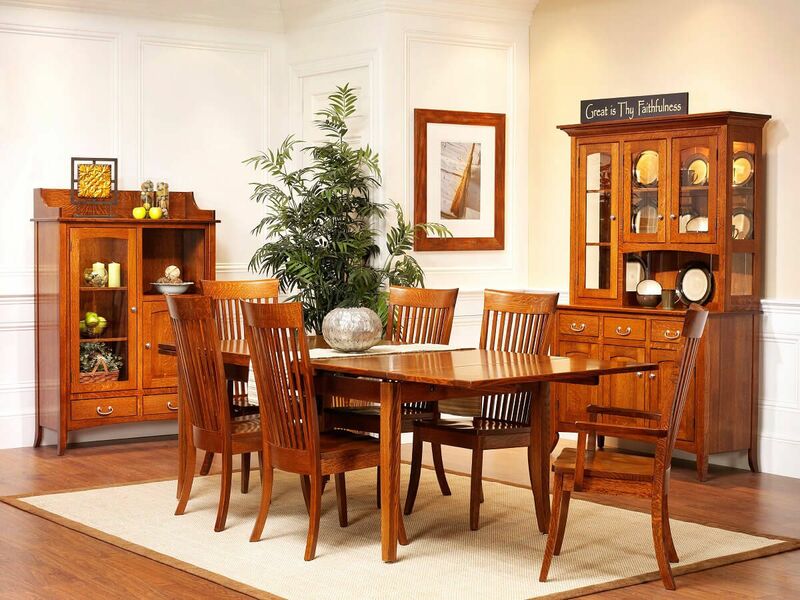 Countryside will create the perfect South Hooksett Refectory Table for your dining room or kitchen. 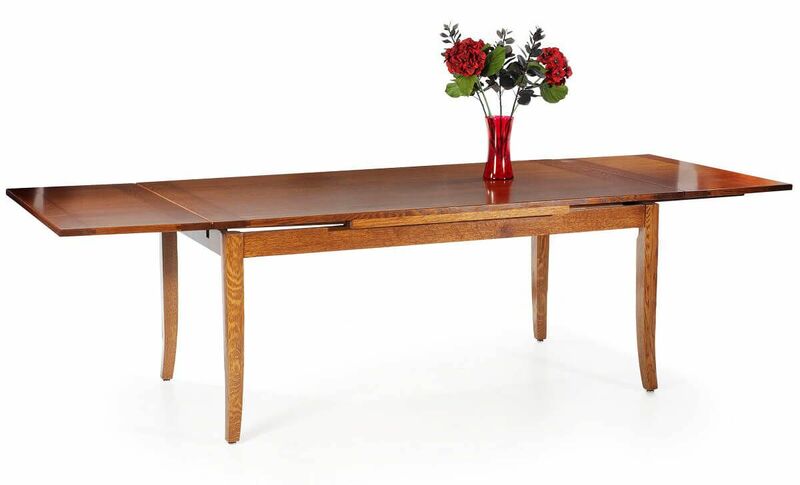 While the refectory table is shown in Quartersawn White Oak, your table will be expertly crafted to order. *Two 20" extension leaves are not included in dimensions. **Floor to apron clearance is 26". ***Table height is 30 1/2".